"We can keep making messages go viral, whether they are real or fake, sweet or sour," the BJP president boasted. 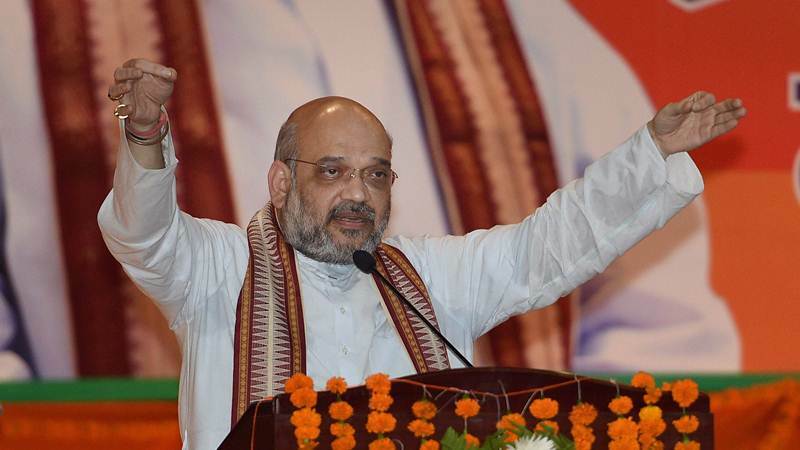 New Delhi: While addressing the party’s social media volunteers in Rajasthan’s Kota recently, Bharatiya Janata Party president Amit Shah said that the group had the power to make any message go viral, whether real or fake. “All of Rahul Gandhi’s followers are foreigners, don’t be afraid of hired goons. It is through social media that we have to form governments at the state and national levels. Keep making messages go viral. We have already made a WhatsApp group with 32 lakh people in Uttar Pradesh; every morning they are sent a message at 8 am,” Shah was quoted as saying by the Dainik Bhaskar. “Uttar Pradesh mein ek saal pehle jo chunaav hua, chunaav ke andar BJP ke social media workers ne do bade WhatsApp group banaye. Ek 15 lakh ka aur ek 17 lakh ka. Kul 32 lakh log. Aur roz subah 8 baje woh bhej dete the ‘Satya janein’. Akhbar jo bhi BJP ke liye galat prakaar ke khabarein bhejta tha, uski sachayi ko WhatsApp pe daal dete the. Aur WhatsApp pe woh viral ho jaati thi. Aur jis akhbar ne kuch chaapa hai, us par social media or janta bhi tuth padti thi, ki bhai jhoot kyun chaapa hai, aap sach chaapiye. Yeh kar kar dheere dheere, media bhi neutral ho gayi. “In the elections that took place in Uttar Pradesh a year ago, BJP’s social media workers made two big WhatsApp groups. One had 15 lakhmembers, the other 17 lakh. This means a total of 31 lakh. And every day at 8 am they would send ‘Know the Truth’. In which the truth about all the false stories printed in the newspapers about the BJP was given via WhatsApp, and it would go viral. And whichever paper had carried these stories, ordinary people, and social media, would get after them, that why have you printed lies, you should print the truth. And by doing this, slowly, the media became neutral. In Kota, as the assembly and general elections come closer, Shah appears to have tempered his previous advice to social media volunteers. At a meeting in New Delhi in July this year, Shah reportedly told the party’s social media “warriors” to refrain from posting fake news as it could damage their credibility. “The party president asked us to avoid committing mistake of posting fake pictures, data and messages on Twitter, Facebook and other social media platforms. He said such action endangers our credibility before the people,” Times of India had quoted a participant as saying.